The eyes may be a window to the brain for people with early Parkinson's disease. People with the disease gradually lose brain cells that produce dopamine, a substance that helps control movement. Now a new study has found that the thinning of the retina, the lining of nerve cells in the back of the eye, is linked to the loss of such brain cells. The study is published in the August 15, 2018, online issue of Neurology, the medical journal of the American Academy of Neurology. "Our study is the first to show a link between the thinning of the retina and a known sign of the progression of the disease—the loss of brain cells that produce dopamine," said study author Jee-Young Lee, MD, Ph.D., of the Seoul Metropolitan Government—Seoul National University Boramae Medical Center in South Korea. "We also found the thinner the retina, the greater the severity of disease. 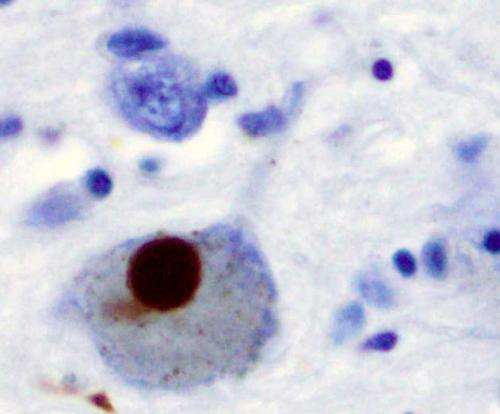 These discoveries may mean that neurologists may eventually be able to use a simple eye scan to detect Parkinson's disease in its earliest stages, before problems with movement begin."